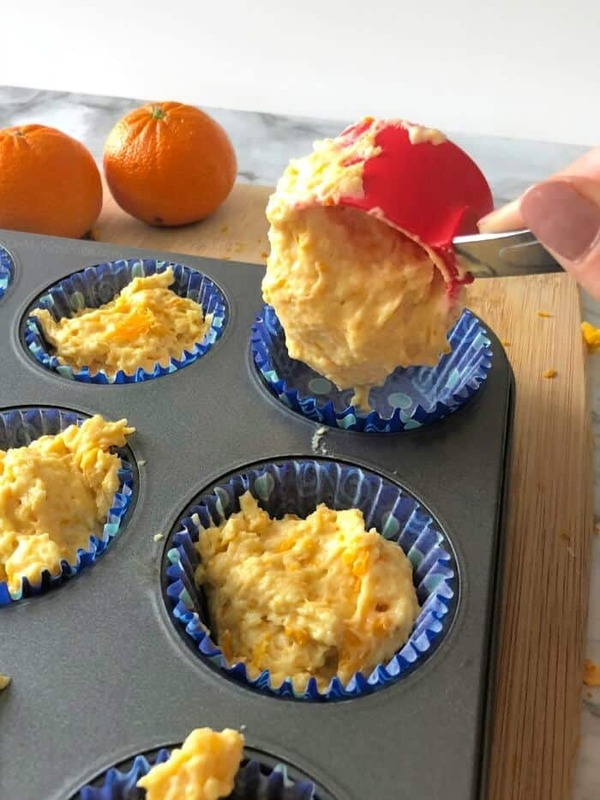 “Did you say clementine muffins?” You might as well insert the heart eyes emoji here because that was my six year old when I told her I was making a yummy citrus muffin recipe around one of her favorite fruits. With a mouthful of fresh and delicious muffin she turned around and said something that makes every mama happy. 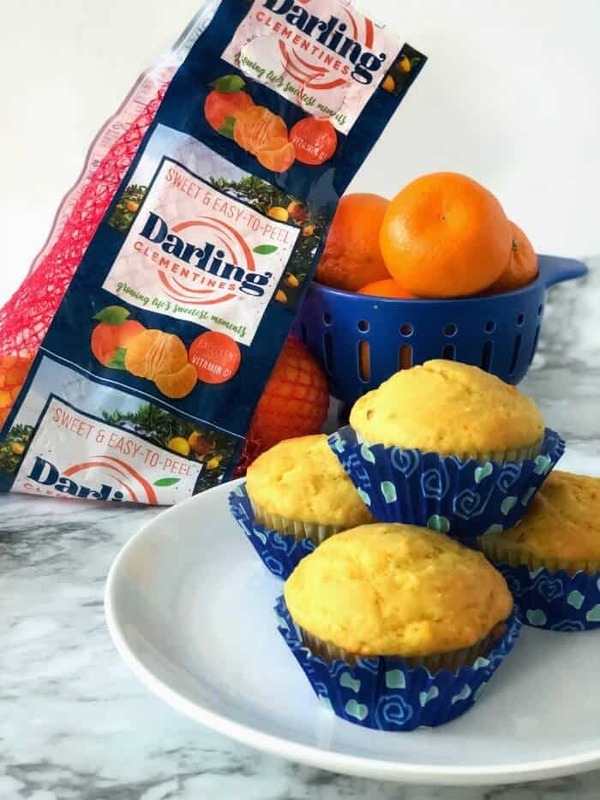 “Can I put one of these muffins in my lunchbox tomorrow?” Speaking of lunch and making days brighter, I’ve got an amazing giveaway from Darling Clementines® that I’ll talk about at the end but it’s totally going to brighten your day and someone else’s too! *This post has been sponsored by Darling Clementines. All opinions and the recipe are my own. 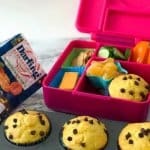 I always know a muffin recipe (or any recipe to be honest) is going to be a winner when it is requested for a lunchbox. Pro mom tip, it means she really likes it and this clementine recipe should likely be made on repeat! We’ve been packing Darling Clementines in our lunchboxes for a while now. They are portable and travel so well to school for afterschool practice as a snack. 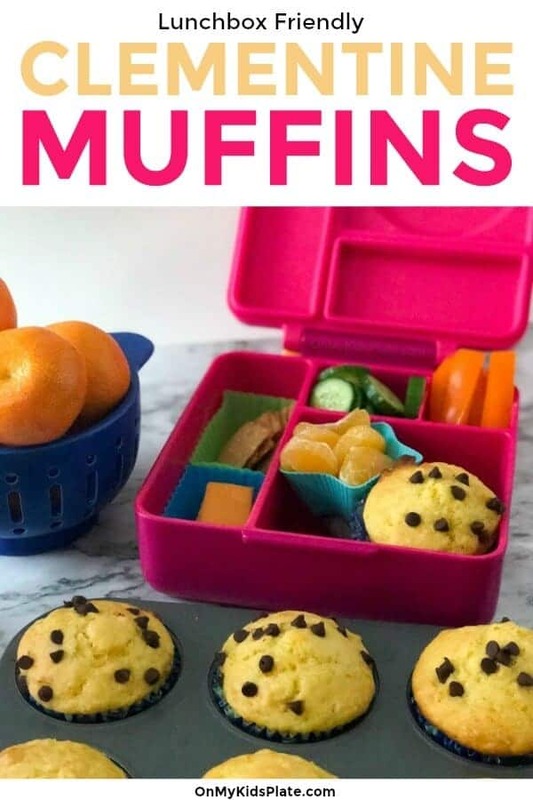 But these muffins are a new way to enjoy clementines in our lunchbox, and I love that they include the entire fruit, it makes them wonderfully sunshiny and a great treat. I know my child’s face just lights up when she sees one in her lunchbox. I went around and around when I was making this clementine muffins recipe, but finally settled on this variation with a bit more crumb texture but with a sweet punch of citrusy vanilla clementine. My family voted and these were by far the winner. These cheery clementine muffins were slid into more than one happy lunchbox and not a crumb came home. When I was prepping the pictures for this recipe, I sent a text to a few friends asking their opinion on which photos I should use. Sometimes when you are staring at crumbly, citrusy delicious muffins it’s hard to pick which photo! One of my friends happened to be headed somewhere near my house. She stopped by for a muffin because they looked so good. I can’t really blame her, I would have stopped the car too. She later told me citrus muffins aren’t usually her thing, but these clementine muffins? They were worth stopping for and totally made her day. This muffin batter is one of the most delicious smelling muffins I’ve made so far. It’s citrus and vanilla goodness. Try not to lick the spatula because it smells like a clementine Creamsicle. Well maybe we shouldn’t be licking spatula because of the raw eggs… but sometimes I live life on the edge. This is one of those recipes where it is important to mix the wet ingredients separately from the dry ingredients. This allows all the ingredients to mix thoroughly together without overmixing. Citrus can be a little fussier sometimes because it’s acidic. By mixing the wet and dry ingredient separately you’re also adding air to your batter without overmixing. It’s what helps keep your muffins light and fluffy. Don’t skip the extra prep bowl for this recipe, it’s worth it! I made these as full-size muffins for my family, but you could also make these as mini muffins. I would bake mini sized muffins in the oven for about 7-10 minutes. Whether you made these full sized muffins, or a mini version make sure you check if they are done with a toothpick. The toothpick should come out of the muffin with no batter attached and clean. 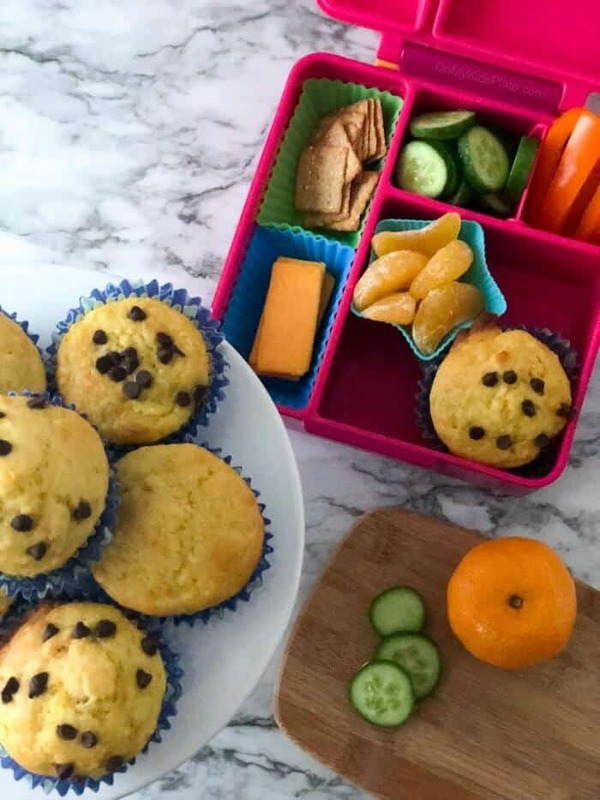 Mini sized muffins sometimes work better for smaller kids in their lunchboxes. 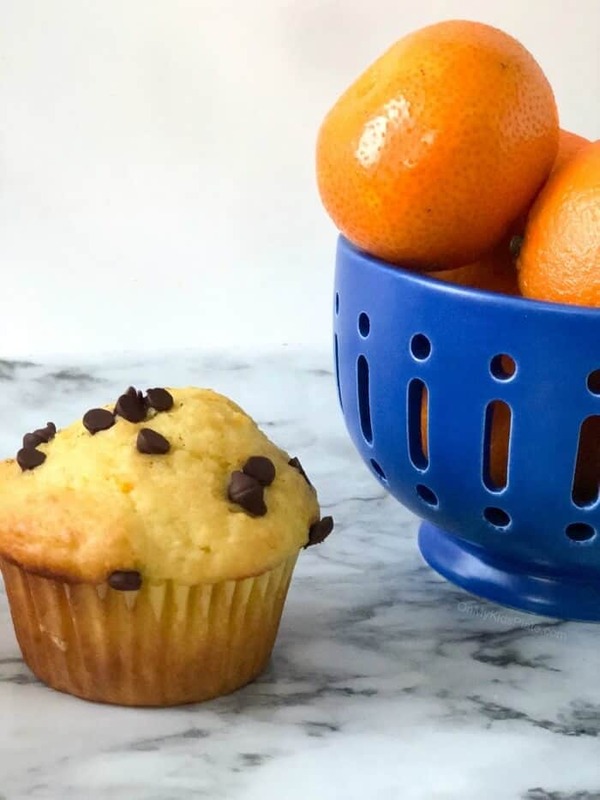 This clementine muffin recipe doesn’t need a topping, but sometimes if you are feeling fancy, a few mini chocolate chips on top can go a long way! You could also save a little clementine zest to sprinkle on top with a few tablespoons of course sugar. The chocolate chips were by far the favorite for my kid in her lunchbox, and it didn’t take very many! This cheery clementine muffins recipe packs some serious citrus and orange flavor. 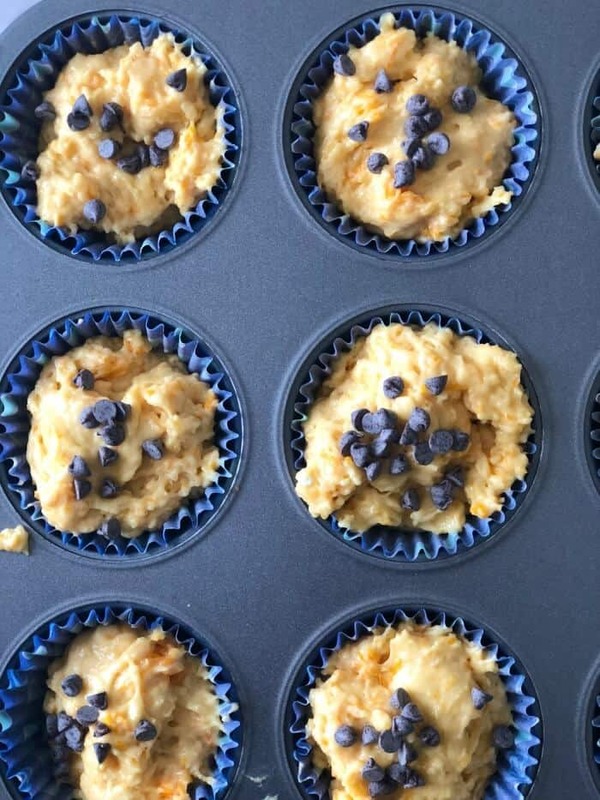 With a delicious crumb almost like an orange cake, these muffins are delicious as a treat for lunchboxes, as an after-school snack, or a delicious breakfast treat. In a big bowl, start by mixing together your flour, baking powder, baking soda and salt with a spatula. Set to the side. In a medium sized bowl melt your butter. Then add your vanilla extract, sugar and beaten egg. Cream together your ingredients, adding air to your batter as you mix. Using a whisk at this step can help. Zest the outside of three clementines and add the zest to your wet ingredients. Mix! Remove the clementine segments from the skin. (The same clementines you zested works!) Take care to remove the white strings in the middle and any stuck to the outside. 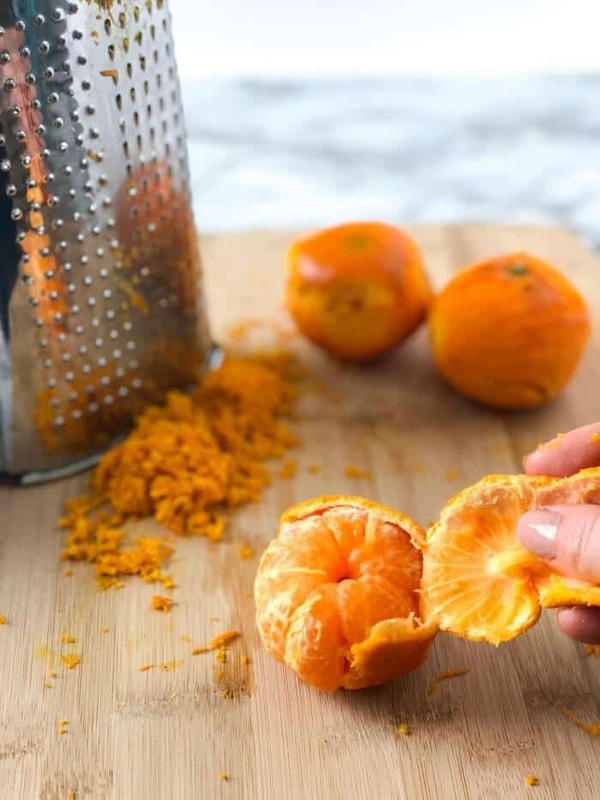 Unlike other citrus, darling clementines are pretty easy to peel. 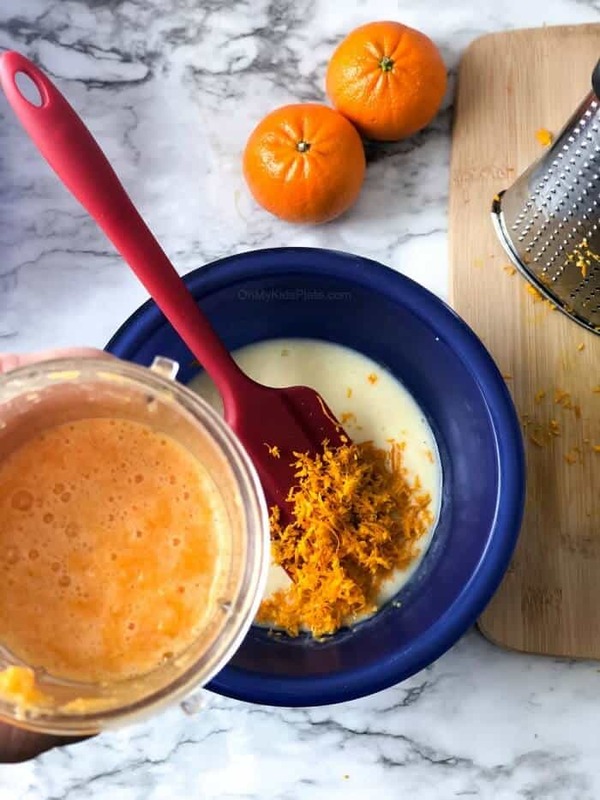 Add the blended clementines to the wet ingredients and mix. Batter will be thick. Add your wet ingredients to your dry ingredients and blend well with a spatula. Fill muffins all the way to the top with batter, dividing it evenly among the muffins. Bake muffins in the oven for 10-13 minutes, or until when pricking with a toothpick no batter clings to the toothpick. Love these clementine muffins and Darling Clementines? 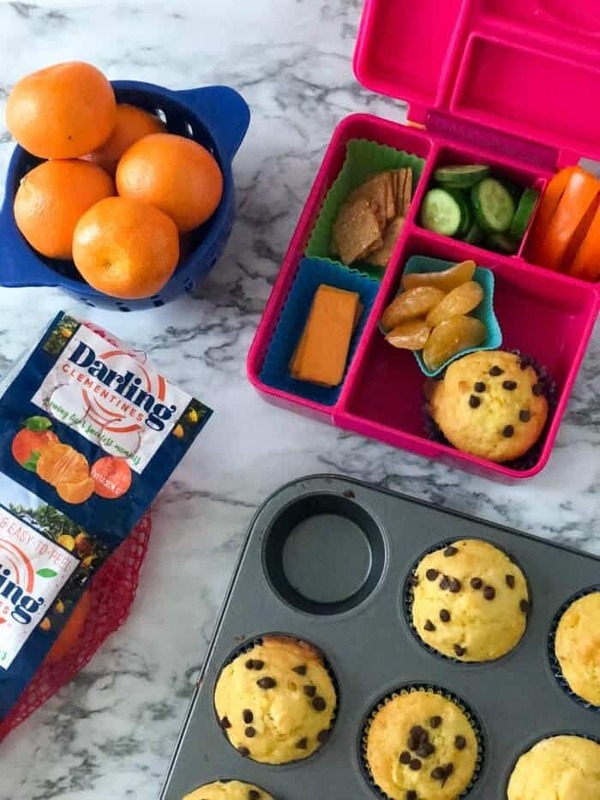 Have another fun way of adding a clementine recipe to your kid’s lunchbox or breakfast? I’d love to hear in the comments! This recipe looks delicious! Looking forward to trying it out. Thanks, I hope you give it a try. They are really delicious muffins!